Film as dream, film as music... no art passes our conscience in the way that film does, and goes directly to our feelings, deep down into the dark rooms of our souls. To warn those who will be disappointed (though it is a really pleasant surprise), there is no dialogue in Tito Molina’s latest film. There is language — indeed verbal language — of song lyrics and TV comedians, but the biggest pleasure comes with the discovery of all the other forms of language that writer-director-cinematographer-editor Tito Molina explores. 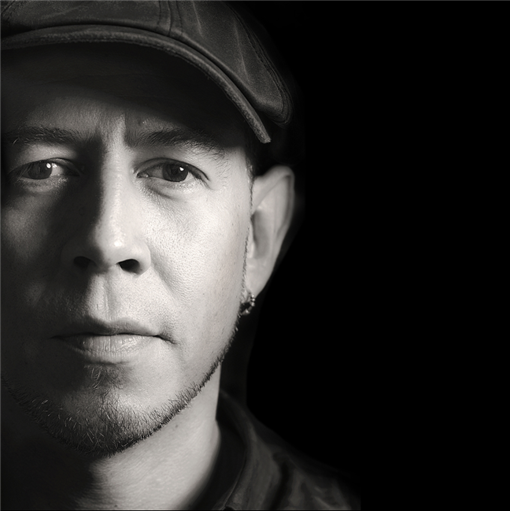 In his compact, 94-minute poetic inquiry into the space between life and death, past and future, memory and dream, Tito Molina brings us the music of the soul. Cinema, music, and poetry all play upon an artist’s unique sense of rhythm, upon the pressure of time that courses through a given moment. How do we feel that pulse? “It becomes tangible,” Tarkovsky tells us, “when you sense something significant, truthful, going on beyond the events on the screen; when you realize, quite consciously, that what you see in the frame is not limited to its visual depiction, but is a pointer to something stretching out beyond the frame and to infinity; a pointer to life,” for each of us makes of the film something bigger than it is. 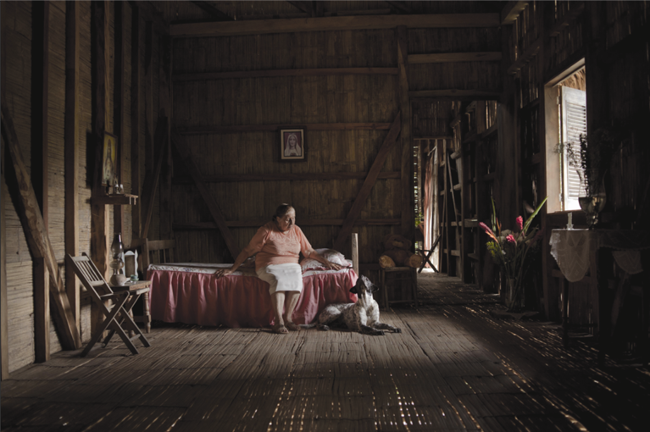 The entry from Ecuador, Silence in Dreamland is an unusual gem among the 83 films submitted from the world over for the Best Foreign-Language Film Oscar for 2014. How excited I was to learn more about the work from its maker, Tito Molina, when we met in West Hollywood last month…. 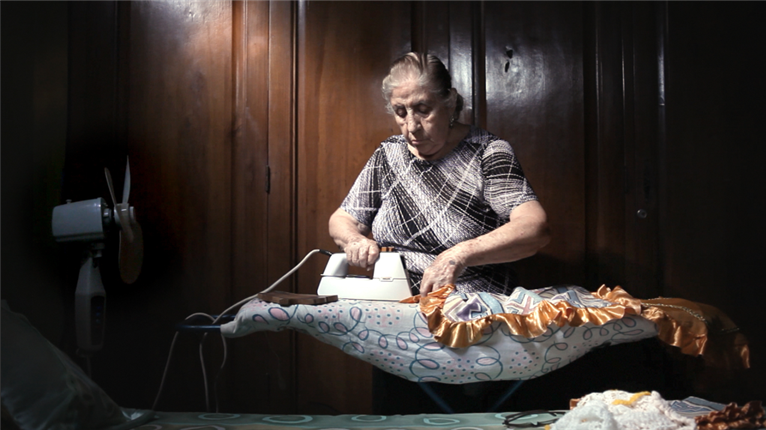 KINOCaviar: How did you decide to present the character of an elderly woman? Is she based on any poem or story or real person? 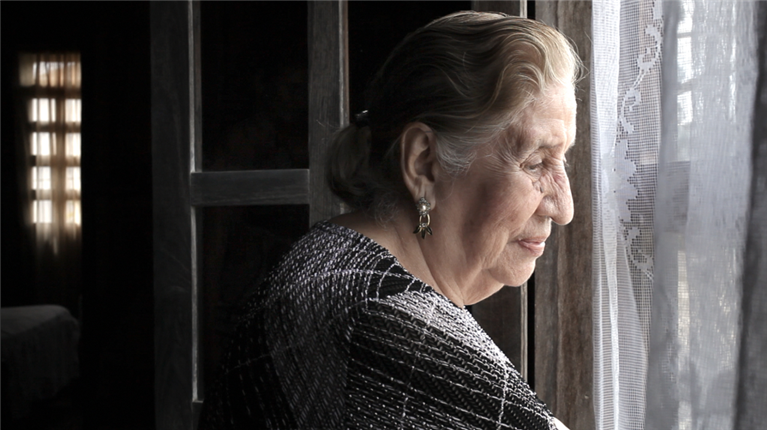 Tito Molina: In my family, people have lived to be very old — my grandmother, 104 years and my mother, now 87 years. I was always close to old people and curious to see how they survive, how they pass the days. 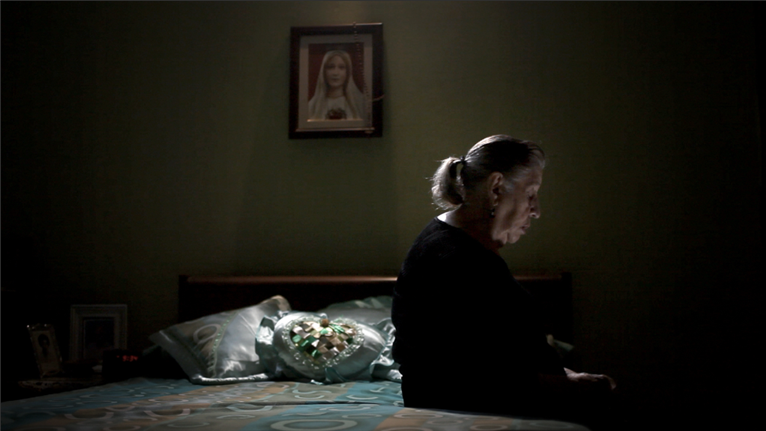 Eight years when my dad died, I started to make a documentary about my dad and living in Germany and going back to Ecuador, and in each visit the topic was changing because the pain in my family was changing, so I had to continue to re-load, re-load…. So my co-writer and I decided to change the documentary into fiction, and in the end, the treatment for it was about a woman. In having a picnic on the grass in Barcelona, a dog appeared and looked us in the eyes. He was black and good-looking. At the same moment my sister called from Ecuador. She said, ‘You know, that dog is probably your dad. We’re at his grave right now.’ It was June 2, the third anniversary of my father's death. KC In a certain way, the dog in your film evokes De Sica’s Umberto D. But you don’t use him as a foil for the elderly lady. And then again, dogs turned up in a lot of art films in this year’s world cinema. Do you consider the dog a character in your film? TM It’s a matter of azar — a Spanish word that in English means something like “chance,” or “fate,” but with an aspect of randomness. I believe in this azar. For me it’s the strict order of the choreography in nature. Sometimes I can really see it, when I immerse myself in it, and then later I record it. One of my biggest dreams is to record this. 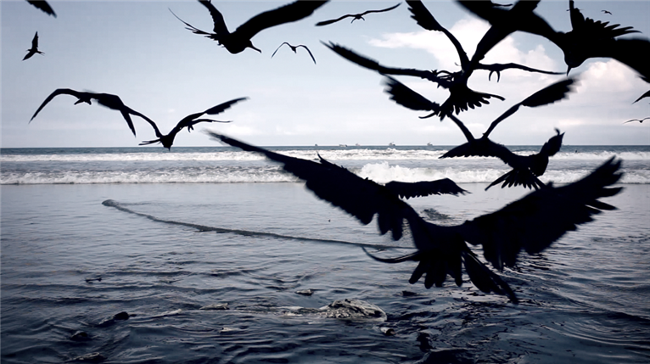 For example, the birds in my film are my memory from childhood. KC Do you co-write or work with another writer’s script? With all your graphic background, do you storyboard as well? TM Silence in Dreamland is my third film but my first feature. The first documentary I produced and directed was Why Chestnut Trees Die (Por qué mueren los castaños). 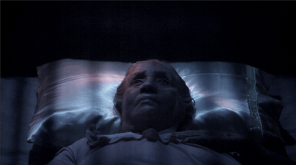 After that I was Co-Director and also the Director of Photography for the German-Moldavian co-production, Panihida, which moves from death through the burial in the Orthodox religion. I’m not using cinematographic references but pictorial references. I did both a verbal script and a full storyboard for Silence in Dreamland because for a German producer in Cologne, the completely drawn version of the whole film sold them on the idea and won us the funds. Sometimes the images come to me first, and then the film. The image of the lady with strands of her gray hair mixing with the white foam of the waves and the ocean coming behind came to me ten years earlier. I have the drawing from 2004. Then I tried the image plus sound plus music to test all of them together, and with the right music, the composition, rhythm, and tempo all become one. I ended up using Débussy’s The Sea, which I knew, but I didn’t realize I had chosen exactly “The Game of the Waves” song. (This sequence comes about 45 minutes into the film). It was the same with Beethoven’s Quartet No. 9 for Strings. I chose these two composers for the film, along with popular boleros from the 1950s. The boleros are songs from my childhood that I use to show the woman’s memory and that of all of Latin America. I’m looking for a synchronicity between image and sound. KC What do you think about dialogue in films? What does “Silence” mean? And “Dreamland”? TM I can’t have words in my film. The only words come from outside the woman’s house. For example, the TV comedy uses a looser, Valentino-looking Don Juan as its main character. That character, the boleros from down below on the street, the dog that turns up — all of them are the man the lady needs in her lonely life. The older man on the street plays a requinto, like a guitar, the main instrument for boleros (for example, “Los Panchos” from Mexico). The leader, Ney Moreira, is very well known in Ecuador but even better known throughout Latin America. Even the TV comedy show, The Big Judge, from Cuba in the 1950s, works like the boleros: it’s the popular memory of all of us. This comedy really plays with the language and shows how you can transform even little meanings with just this play on language. KC Filmmakers can make many choices in editing — cuts, fades, dissolves, montages. What was your concept for editing in this film? Did you ever use slow-motion? How do you show time? TM Regarding dissolves, in cinema school I was always asking ‘Why?’ Dissolves always meant the passage of time but keeping the same time — for example, the 3-second ellipsis, as opposed to the cut, the big ellipsis. Does a dissolves have to mean an ellipsis but also simultaneity? What happens if I change the code, or play with it? 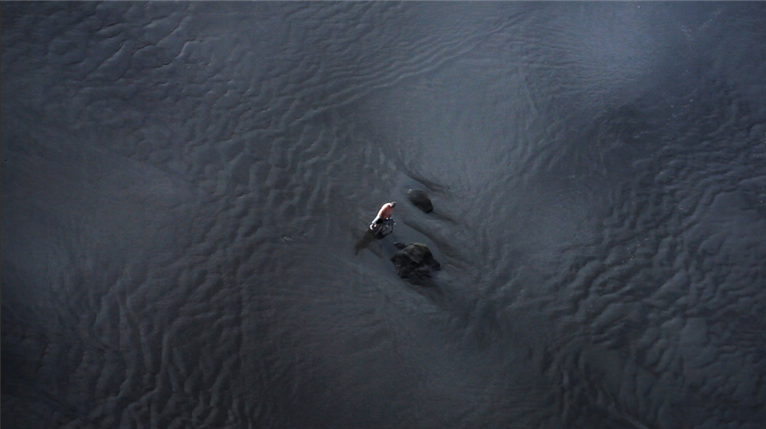 The opening of my film is a shot of the woman’s face and a very l-o-n-g dissolve to the sea and then the birds come. My dissolves are only between real life and dream or within the dream world. I’m trying to edit the film like a symphony apart from or along side of the dramaturgy. When I was clear about how the story was going, I put another layer over it: larghetto, adagio, allegretto, larghetto. The rhythm was following a musical piece, not just a story. The feeling in the end should be that all the symphony is inside you. KC We seem to encounter numerous abstractions in your film. Are you using superimpositions — for example, of the woman or the birds? TM In one scene with the woman, I used a long, long dissolve from the rice floating on the water (in the kettle on the stove) to her in bed, lying as if frozen dead. I used a 5-D Canon camera to shoot. Six years ago it was a revolution because it was a photographic camera but with a big sensor, so it was good for light and also made videos. Because it was so sensitive to light, I could shoot in the dark with only candles. I could change the lenses and get a very good quality of image. The camera was also very small, so very portable. As for the birds, this image I know well because it’s part of my childhood in my region, Manabí, near the coast. These birds, fregatas (over 3 feet long with a wing-span of over 7 feet) are very good — they never hit you. I was riding my bike with the birds flying over me as if I were in a black cloud as I looked out on the fishermen in their boats. When I observed how the birds behaved, I saw that they only come when there’s food, so we put bits of fish out for them. And just when we were shooting, that big white bone of a fish washed up on the beach. Again, it’s azar, because soccer games on the beach kept pushing us over, and over, and over… We have 17 or 18 shots. All I did was change the shutter speed to almost the maximum — very fast — a contradiction for the image, in the shooting, not the post-production. So in the film they look transparent sometimes, like drawings, but they aren’t. The speed made through the Beethoven piece came to my mind because some birds are replacing violins: their rhythm of movement was the same as the rhythm of the violins. I used this in two sequences, with image and sound in sync. KC How did you consider music in this film? What role does it play? Does it matter if it is diegetic or non-diegetic? For example, how did you decide to show the musicians playing on the street? How did you choose the songs? TM I chose to show only those musicians, because they connect us to reality — the street, the neighborhood — but all we see of it is the musicians. I show only them in the neighborhood, and nothing else. The classical music connects only with the dream. The romantic days are behind the film. I used Débussy and Beethoven and also the boleros to show loneliness, but the boleros needed to be sung by men, so that they could flirt with girls, to make it a little rough for the old lady, because then she puts on make-up, and earrings — yes — to eat alone! Then immediately comes the shadow of a dog and then the dog, because she’s ready to accept company; he’s the man coming to her life. KC Where did you study? What took you to cinema from design and commercial art? TM I studied graphic design in Ecuador, and then I worked for ad agencies in Ecuador. Then in 1997 I made a short film with a friend and fell in love with all parts of the cinematic process — writing, shooting, editing. I made two more short films in Europe, and at age 30 I enrolled in the Center of Cinematographic Studies of Catalonia, Barcelona. I made some short films there. But then I bought a camera and wanted to do just my own projects. I shot everything that moved! I was sleeping with the camera, practically. I had mountains of material and no one particular idea for making a film. So I printed one frame of each sequence I shot — thousands — and put them up, wrapping around the walls of my home. I was looking for connections, re-arranging, and then looking for an idea, and I got it: Why Do Chestnut Trees Die? KC Who has inspired you in cinema or the arts? Do you look to others for aesthetic models? TM Velasquez, Rembrandt, Caravaggio. I’m always using paintings for ideas for my images, not stories or themes. Chiaroscuro was what I needed, because the character was in-between shadow and a bit of light. The 17th to the 18th century worked best. For the transition from her room to the bamboo room, I tried to recreate the angle in the painting, The Dead Christ. It was the only shot where I consciously tried this. As for filmmakers, I’m inspired by Tarkovsky and Bergman, in Iran Abbas Kiarostami and in Russia Victor Kossakovsky — he makes documentaries now, and was in Venice two years ago. He made ¡Vivan las Antipodas! in Argentina. He’s a master. He has something I want to do — as if he understands what happened with the azar and he’s able to move the camera a bit before. With azar, you have to have the conviction to pursue your subject with deliberation and persistence. But it’s different if you’re alone with your subject with your eyes and not a camera. The camera is forcing nature or randomness. Which is my point of view? Only here. KC Do you consider yourself a proponent of Ecuadorian cinema? Is there any “new wave” evolving in filmmaking there? TM Ten years ago in Ecuador, only one or two films were made per year at the most, and finally in 2006/2007, after many years, the government created the National Cinema Council and set aside some funds for cinema. Now producers can get some money for each stage of the production of a film, and 20-24 films are made per year. So there is film production, but it takes time to get good, interesting ones. It’s the beginning, and new talents are coming. And finally, there is a big film academy in Quito, INCINE. KC What does the sea mean to you? And the streets and plazas of the Ecuadoran town? TM Well, I shot my film in Portoviejo, the town on the sea where I was born. Did I tell you the actress is my mom? She had never acted before, and she didn’t want to do it. She did it only as a favor for me. I had to bring her into it little by little. It took almost a year and a half of shooting with her, with breaks of a few months in-between each shoot. We went in her rhythm — five hours a day, and then in the end, three hours a day. She’s 87 years old…. 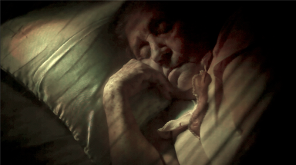 Director: Tito Molina; Producers: Miguel Salazar, Jonas and Jakob D. Weydemann; Screenplay: Tito Molina, Ana-Felicia Scultelnicu; Cinematographer: Tito Molina; Editor: Tito Molina; Sound: José German, Ana-Felicia Scultelnicu, Tito Molina; Art and Production Director: Miguel Salazar; Set Decorator: Nicolás Platonoff; Graphic Designers: Juan Alvarado, Patricio Arévalo. 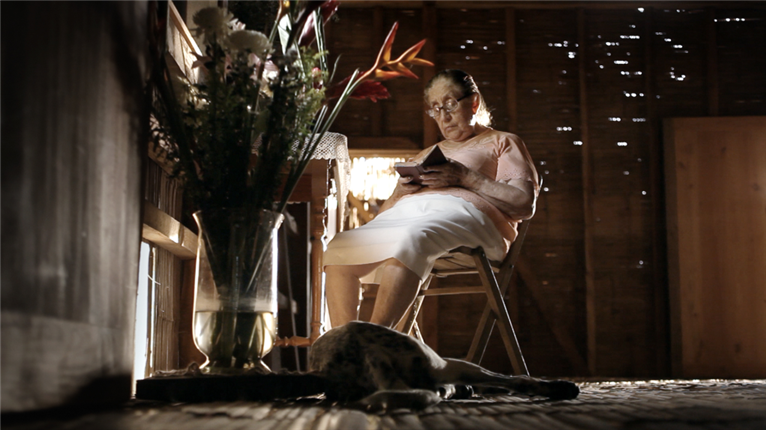 Cast: Bertha Naranjo (woman); Ney Moreira, Martín Rodríguez, Yeliber Mero (musicians); Cokie (dog). Color, HD, 94 min. In Spanish (no dialogue, song lyrics only) with English subtitles.